MASTATEK has released a video modem system (VDS) that is a high-performance video and audio transmission system on coax. Dc is also provided along the coax to the camera (source). The VDS therefore provides high quality video, audio and camera dc along coax cable up to 500 metres or more. It makes surveillance in factories, schools, banks, business, home and stores more convenient, effective and easy to install. Where portable systems are to be deployed the VDS is an ideal way of single cable installation instead of using separate cables for dc, video and audio. Signal quality over distance is assured since the video and audio is placed on a carrier system less affected by cable losses. AV signals can be from CCTV, VCR, VCD players or CCD camera. The A/V signals can be transmitted to monitors, multiplexors, switchers or VTR. 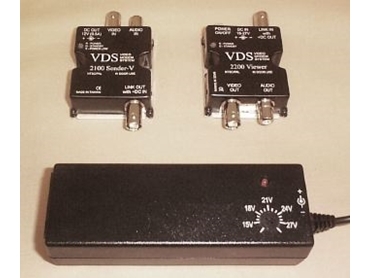 The VDS is compatible with NTSC and PAL.